This is the Official Auction Program for the 2010 JDRF HOPE GALA Nevada Chapter commemorating the 40th Anniversary of JDRF's existence entitled IMAGINE held at the Mandlay Bay Resord Casino May 7th 2010. This very special event honors Renee West, President COO for Mandalay Bay Resort. Clint Holmes was the Master of Ceremonies for This Juvenile Diabetes Research Foundation Hope Gala. 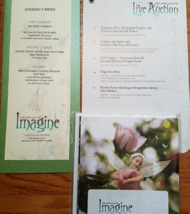 The program and the venue is themed with fairies, very enchanting even on the pages of this mystical Program. 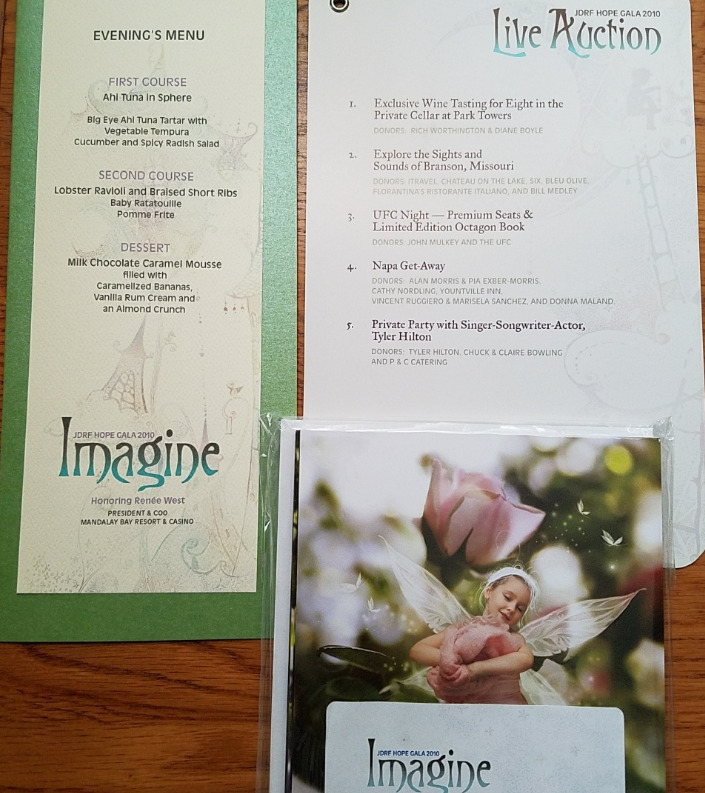 Included separately: The evening's menu, Live Auction, 7 fairy themed cards with envelopes. Program measures 11" L x 7-1/2" W x 1/4" Thick. 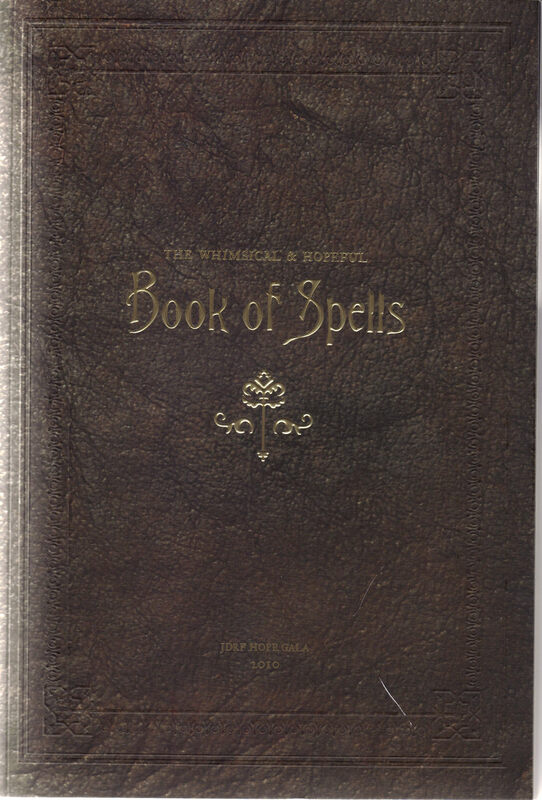 Cover has embossed design with letters etched in gold. In great condition. Send email if you need additional details about this Program. Buyer will be responsible for 4.95 shipping to anywhere in the USA. Send email for international rates.